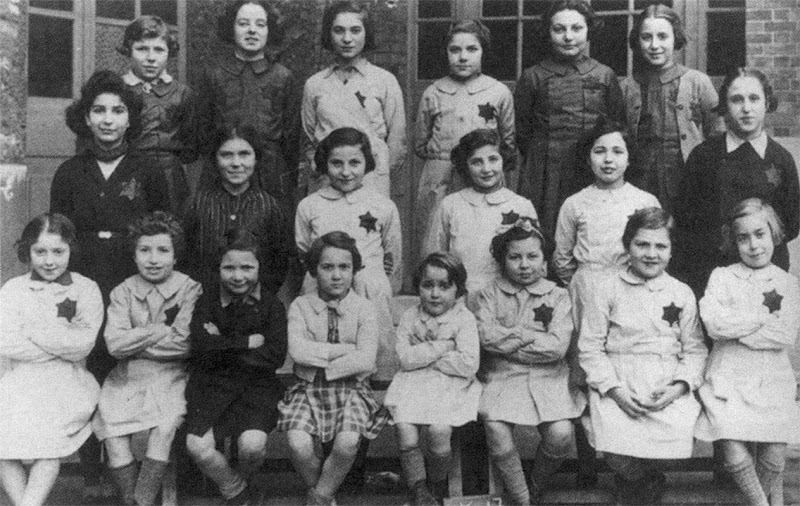 When the French police arrested more than 13,000 Parisian Jews at the behest of Germany during a massive raid on July 16, 1942, Sophie Schwartz-Micnic took action to protect as many children as possible. She and her fellow resistors provided hundreds of children with fake identities and hid them with host families, saving their lives. René Goldman, himself a rescued child currently living in Canada, is the author of a book on Sophie’s fascinating life story. In Une femme juive dans les tourmentes du siècle dernier: Sophie Schwartz-Micnic, 1905-1999, he tells the story of a woman who he considers to be his adoptive mother. Sophie Schwartz was born in 1905, in an area of Poland belonging to the Russian Empire at the time. She grew up in a well-off, Orthodox Jewish family with her seven siblings. Horrified by the Great War, she became interested in politics at age 13 and joined the youth section of the Bund, a secular Jewish socialist party. When she turned 15, her parents could not afford to send her to school anymore, so Sophie started working in a curtain factory, where she joined a union. These were the beginnings of her involvement in activism, which would continue for most of her life. At age 19, her father banned her from political activism after she was briefly arrested. She defied him and left the family house for an autonomous life, emigrating to western Europe, far away from her parents’ worries. Sophie would never see her parents again; they perished with three of her siblings in 1942 after they were deported. In 1927, after spending some time in Holland, Sophie emigrated to Belgium. 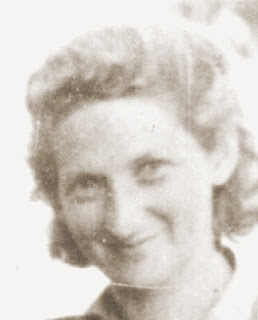 At once, she got involved in both Jewish and communist organizations, including the Kultur-Liga, where she met the like-minded Leizer Micnik, her future husband. Leizer’s involvement in a trade union would later force them to leave Belgium and immigrate to France. He was arrested and handed off to the Germans by the French police in 1942, never to be seen again. During her lifetime, Sophie was very devoted to the Jewish community, and to all deprived families in general. When World War II broke out, she immediately took part in the underground: she headed a committee to aid women whose husbands were taken by the police and ran an illegal printing shop producing Yiddish pamphlets and false identity cards. The soul of her work, however, became saving Jewish children, and she created several homes for those who had lost their families. After the aforementioned July raid – known as the infamous Vel' d'Hiv Roundup – she worked tirelessly to smuggle hundreds of children into hiding among the peasantry. The following year, she organized a daring operation to rescue children from the asylums set up by the UGIF1, escorting 63 of them out of the facilities by female underground members posing as relatives. She eventually became the head of the CCE (Central Commission for Children) that reportedly supported several hundreds of children – 450 of them in 1949 alone. In several passages of the book, she argues that being Jewish pushed her into believing in communism; she actually saw this as a hope for equal rights and a better life, not only for the Jews, but for all mankind. 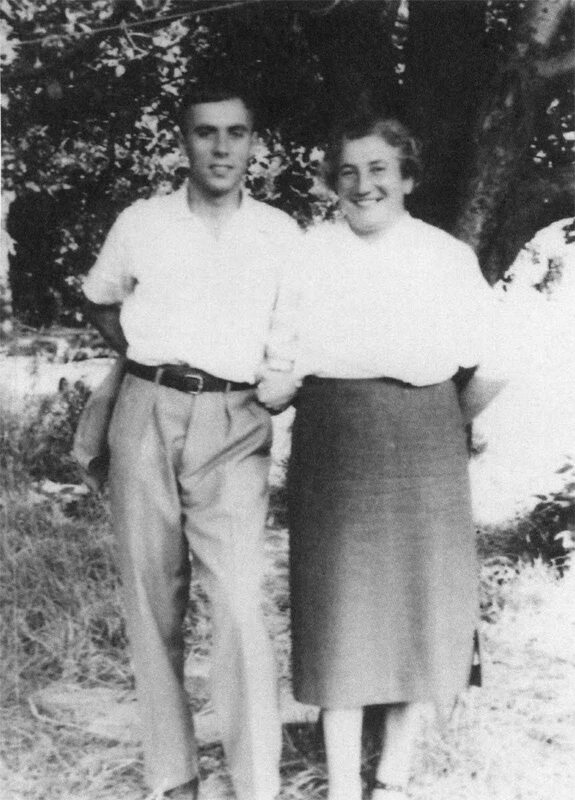 Though she would become ideologically disillusioned following her awareness of Stalin’s crimes and her subsequent expulsion from Poland in 1968, it is obvious that the various organizations she took part in gave her an effective network and resources that she could rely on to assist the many operations she organized to save lives and, after the war, make this world a better place to live. After being expelled from Poland, she spent the rest of her life back in France, surrounded by her old friends and fellow underground members. Because of her past with the resistance, she obtained a residence permit, and then French nationality. 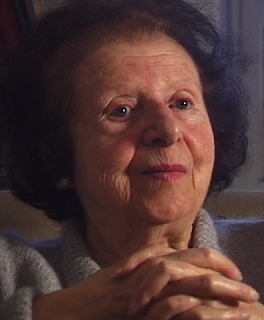 René Goldman, the author of her biography, kept in touch with her as she became older, up until her death in 1999 at age 93. He was called upon to read an eulogy at her funeral. Sophie Schwartz-Micnic accompanying a group of children on a train in 1947. Reference: “Une femme juive dans les tourmentes du siècle dernier: Sophie Schwartz-Micnic, 1905-1999”, AGP : Paris, 2006. 1. The UGIF – or L'Union générale des israélites de France – was an organization created by French law in 1941 at the behest of occupying Germany. Its main purpose was to take control of all other Jewish organizations, social agencies, philanthropies – including their assets – and to oversee the administration of Jewish affairs while taking their cues from the Vichy regime and the Nazis. In effect, they were France’s nationwide equivalent to the Judenrat councils set up in the ghettoes of eastern Europe. Allen and his childhood friend Leon Bakst were reunited for the first time in over 65 years at the November 2011 Jewish partisan reunion in NYC. While their meeting is the focus of JPEF's newest documentary film The Reunion, it was not the only life-altering experience Allen had at this event. He was surprised to reconnect with Judith Ginsburg, another fellow partisan who, unbeknownst to Allen, has been living in Florida a short distance from his home for many years. Since November 2011, the Ginsburg and Small families have celebrated many happy occasions together – including Thanksgiving and New Year’s. Allen Small and Judith Ginsburg at the 2011 Partisan Reunion in NYC. 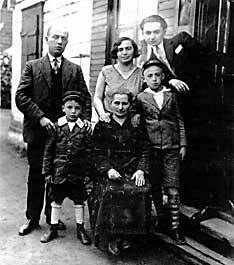 Allen credits the Jewish Partisan Educational Foundation with bringing him new family members on this holiday of Thanksgiving and is grateful for the blessings that have come to him since last November. JPEF, in turn, is grateful for Allen for having stood up against the forces of evil and oppression at an incredibly young age – and for sharing his story with us, which you can read on the JPEF Partisan Pages, where new short biographies have been posted for Allen Small and his friend Leon Bakst. Stay tuned for two more new biographies on our partisan pages after the holiday weekend! When interviewed by the Jewish Partisan Educational Foundation (JPEF) at her current day home in Toronto, Canada, Faye Schulman, the only known Jewish partisan photographer, shared this story behind her photograph of her charred family home. Almost every one of Faye’s photographs and personal captions in the traveling photography exhibit, Pictures of Resistance: The Wartime Photographs of Jewish Partisan Faye Schulman, move me to tears. The tears, however, do not come only from a deep feeling of sadness for the tragic losses of the Holocaust, but from a stirring sense of pride, as well, for the bravery of those who resisted. 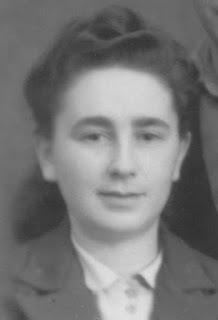 Due to her photographic skills, Faigel “Faye” Lazebnik Schulman was one of only 27 who were spared when the Germans liquidated the Lenin ghetto on August 14, 1942 and killed 1,850 Jews. They forced Faye to develop and print photos of their aggressions, including the picture of her parents’ mass grave. When ordered to train a young Russian apprentice in photography, Faye realized that she would soon become “useless” to the occupiers, and that they would kill her too. Thus, she escaped to the woods, but not before protecting the lasting proof of their atrocities. 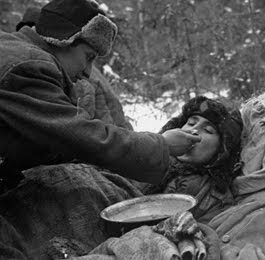 She hid the photos of the Lenin ghetto massacre in the middle of a box of unexposed photographic paper and told the young apprentice, who knew little about photography, that she must never expose the box to the sun. Later, as a member of a Russian partisan brigade, Faye came back on a mission and recovered both the photos and the camera that she would carry with her throughout her two and a half years in the woods – and to this day. Faye volunteered often to go on dangerous raids in order to replenish her photographic supplies. With her camera, she captured experiences that most of us have never and, hopefully, will never even be able to fathom. 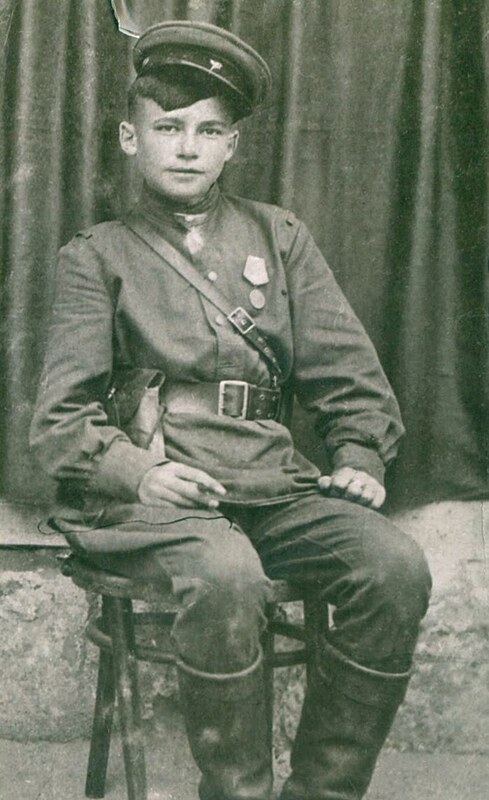 Her photos range from images of Jewish partisans being buried next to Russian partisans and honored for their brave deeds to defeat a common enemy to that of a young girl whom Faye saved. Some of the pictures are quite serene and artistic. For example, the one of Faye in a canoe with a man in partisan uniform. Were it not for Faye’s narration of the photograph included in the caption, one would never know that Faye and the man were about to embark on a dangerous mission from which the man would not return. You must see her photographs yourself, for my words cannot do the images justice. Thirty of Faye’s exquisite photographs are displayed in Pictures of Resistance: The Wartime Photographs of Jewish Partisan Faye Schulman, which was produced by JPEF and curated by the well-known Jill Vexler, Ph.D. It is currently on exhibit at the Dallas Holocaust Museum until November 26. 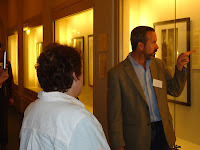 To learn how to bring the exhibit to your community, visit www.jewishpartisans.org/exhibit or e-mail exhibit@jewishpartisans.org. There are no other known Jewish partisan photographers. When I learned that Faye had to bury her camera and come back for it alone, develop the pictures under a blanket in the night, and lug her pictures with her while running from the Nazis, it was no wonder that she was perhaps the only one to capture the partisans’ experiences on film. In the woods, surrounded by enemies, during unforgiving winters, partisans struggled just to survive, let alone steal chemicals on raids to take pictures! Without her determination, the world would never have seen these images. NEW YORK CITY – October 19, 2012 – The Jewish Partisan Educational Foundation (JPEF), an organization dedicated to inspiring the next generation by teaching the history and life lessons of Jewish partisans, will host the premier of its latest documentary “The Reunion”, narrated by actor Liev Schreiber who portrayed Jewish resistance fighter, Zus Bielski, in the film Defiance. The premiere will be held at the Paley Center for Media on October 22. The documentary was inspired last fall, when JPEF hosted a reunion for all surviving Jewish partisans in New York City. 55 Jewish partisans attended the event, WCBS Anchor Dana Tyler was the emcee and actor Ed Asner gave a special presentation. Allen Small and Leon Bakst were close friends growing up in Poland, both fought against the Nazis as Jewish partisans, and each lost their families during the Holocaust. 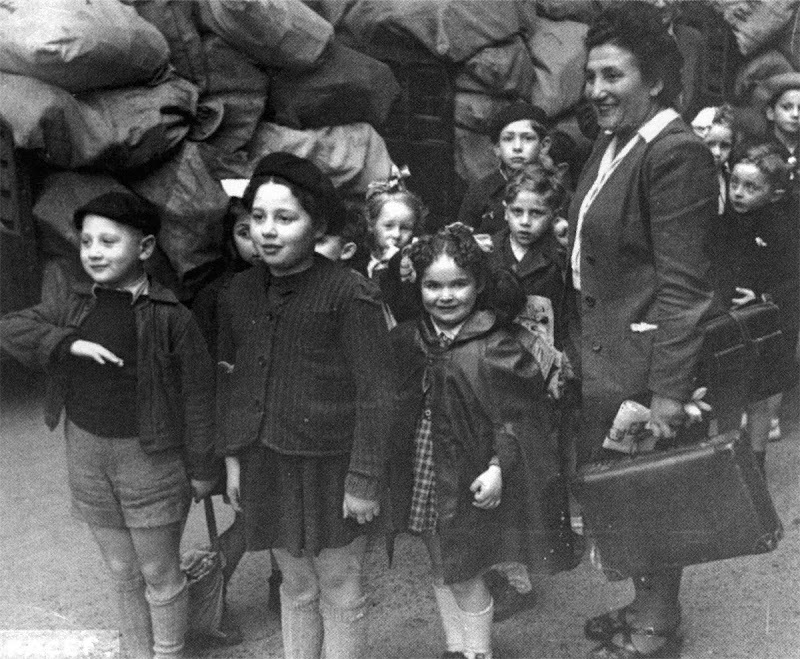 They said goodbye, for what they thought was the last time, 66 years ago in a displaced persons camp in Germany. 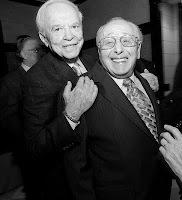 Their story unfolds in The Reunion, written and produced by JPEF’s executive director, Mitch Braff. "This is an important story that must be told. 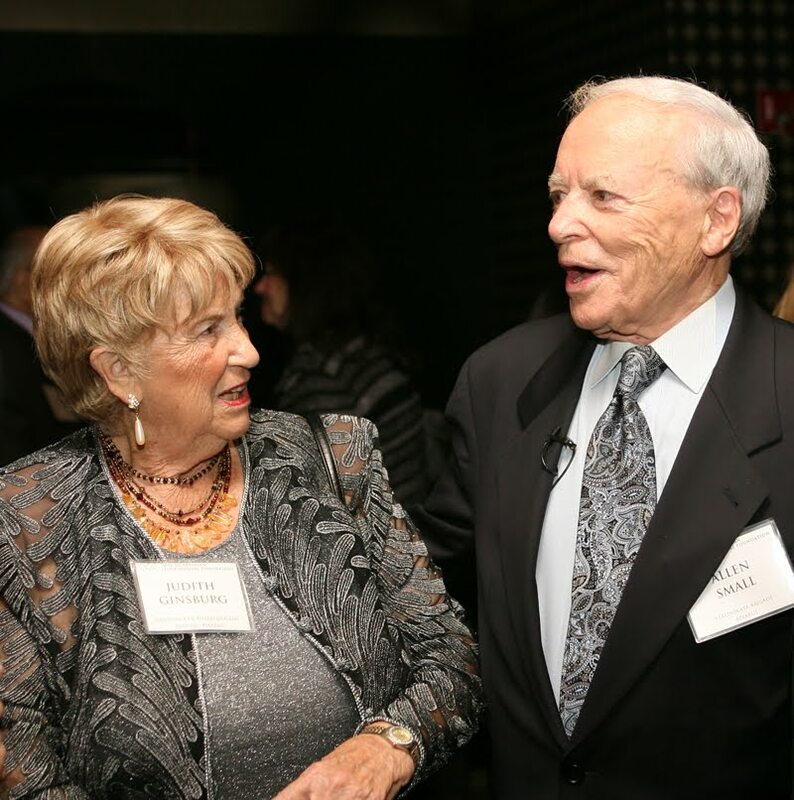 I was happy to contribute to The Reunion, in hopes of helping ensure more people learn what the Jewish partisans went through and the incredible things they accomplished," said Schreiber. "Working on Defiance was a powerful and very personal experience for me. It was the beginning of an awareness and commitment that I'm certain will be with me for the rest of my life." 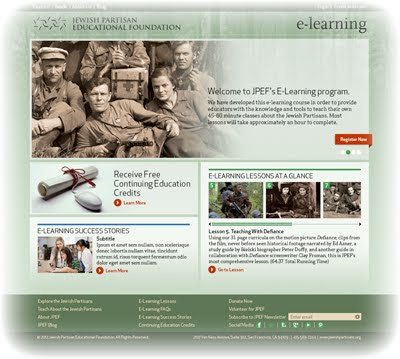 JPEF develops free educational materials for schools on the 30,000 Jews who fought against the Nazis as partisans. The Jewish partisans saved thousands of lives and destroyed thousands of German trains and convoys. Small, who now lives in Florida, Bakst, who now lives in Texas, and other partisans - including Frank Blaichman and Romi Cohn from New York, as well as Leah Johnson from Florida – are featured in the film. The movie answers questions about their very challenging life experiences. Ticket sales can be purchased either on site or online at www.jewishpartisans.org/reunionNY. All proceeds from the ticket sales go towards developing JPEF’s curriculum. Members of the press, partisans and their families are invited to attend complimentary. 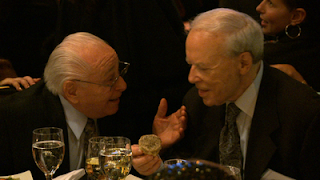 A preview of the film can be seen at www.jewishpartisans.org/reuniontrailer. JPEF is a not for profit organization and is the only association in the world solely committed to teaching the history and life lessons of the 30,000 Jews who fought back as partisans during World War II. More than 6,500 schools and synagogues worldwide use the organization’s free curriculum targeted for 7th-12th grades. Our mission is to develop and distribute effective educational materials about the Jewish partisans and their life lessons, bringing the celebration of heroic resistance against tyranny into educational and cultural organizations. For more information about the organization, the curriculum, to connect with other partisans or to donate, please visit www.jewishpartisans.org. New Jewish Partisan Book Out From Scholastic Publishing! 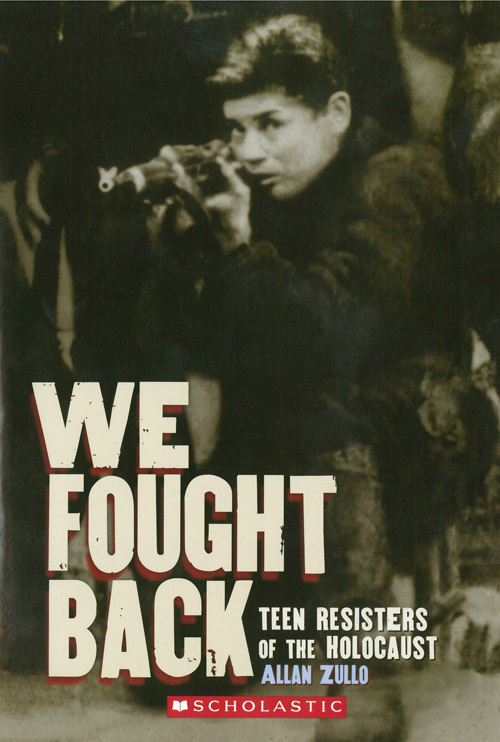 Educators: we are pleased to inform you that Scholastic has recently published a collection of stories entitled We Fought Back: Teen Resisters of the Holocaust. 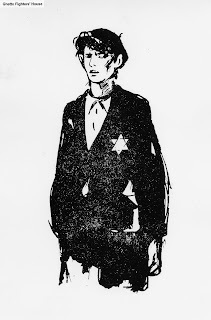 The book is written by Allan Zullo, and is his fourth book about the Holocaust for the teenage audience. The book is aimed at young readers, and gives a true-life narrative account of seven teen-aged partisans fighting the Nazis in World War II. Each story opens with an attention-grabbing scene of sabotage, ambush, or a bloodied battlefield. The stories are fast-paced and captivating, but their content is always grounded in the actual experience of partisans, allowing students to see how life was like for teens of similar age in the most dire of situations. 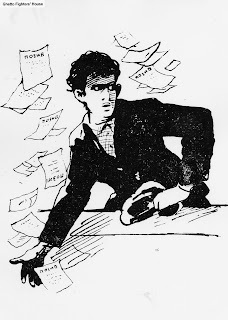 Of the seven stories in the book, five are about partisans profiled on the JPEF partisan pages. These include Frank Blaichman, Sonia Orbuch (known in the book as Sarah Shainwald), Martin Petrasek (in the book as Martin Friedman), Shalom Yoran (in the book as Selim Sznycer), and Romi Cohn. At least one more will join them in the coming weeks as we finalize four new partisan biographies with accompanying photos and video interview clips. The book provides a great opportunity for middle and high school teachers to supplement their history and English classes. As the book gives an account of a lesser-known aspect of the Jewish experience during the war, it is an obvious complement to the study of the Holocaust in schools. In addition to offering first-hand accounts of the war experience, the book supports curriculum aimed at exploring Jewish identity, leadership, and resistance. In English courses, the book’s dramatized versions of the partisan fighters’ true stories provide a counterbalance to reading lists traditionally centered around fiction. Often we find non-fiction underutilized in the English classroom and yet it accounts for much of adult reading. This is an opportunity to engage students with narrative in an alternative way, potentially appealing to reluctant readers – or simply enriching the reading experience for all students. The age of the protagonists in these stories makes it easy for students to identify with them, and the narrative of survival and resistance to oppression is powerful and compelling, especially for that age group. In these ways and more, We Fought Back can be a great resource for any classroom. Purchase We Fought Back from Scholastic Publishing. We Fought Back on Allan Zullo's page. — Written by Chelsea Martin. 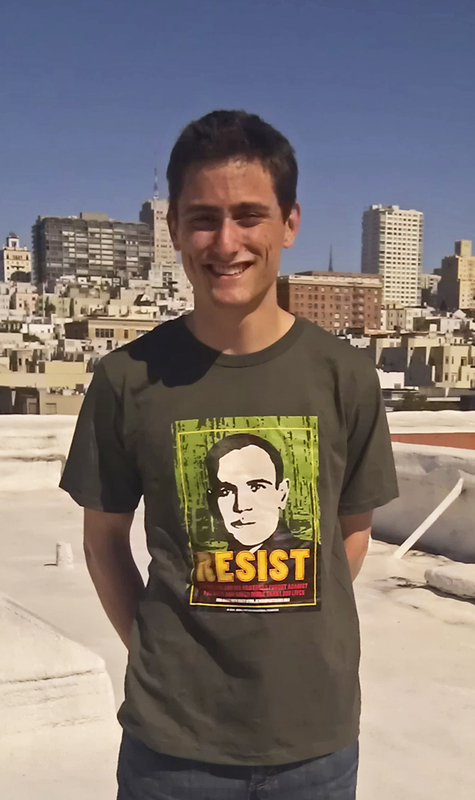 My name is Aaron Lapidus and I am interning at The Jewish Partisan Educational Foundation for the summer through the Kohn Internship program at Jewish Vocational Services in San Francisco. Starting out in June, I had no idea what I was getting into. I have never held a nine-to-five, all-week kind of job, so this was my first foray into the real working world. I had heard of JPEF, but did not know exactly what they were all about. 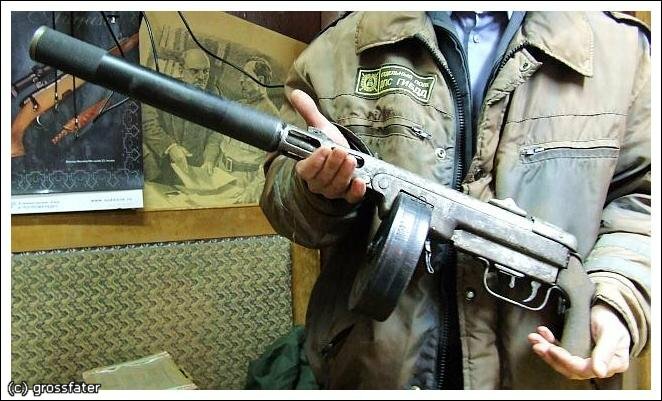 I was told that, as their name implies, they teach about the Jewish partisans: Jewish resistance fighters who fought back against the Nazis and their collaborators during World War II. Going into this job, that is all I thought they did, but I have since learned that they are so much bigger than that. Every week, I start my Mondays off by inputting new registrants into an online database. Entering this weekly data has shown me that JPEF does not just reach out to educators (thought that is a big part of it). We do outreach to everyone from museum staff and Holocaust memorial curators to students. Educators teaching everyone from preteens to college aged students are a part of the JPEF network, as well as people from all around the world. To think that in a little over ten years, a few people in an office in San Francisco could touch so many people – who are in turn teaching others to fight oppression and stand up for themselves – is quite remarkable. A big goal of my summer internship here at JPEF has been to analyze the annual Educator Survey, which JPEF conducted a few months ago. Going over every question in detail got a little monotonous and turned into an endless stream of numbers and Excel tabs. However, one of the last questions asked if the educators had any suggestions for JPEF to be more helpful or if we could do anything to improve their teaching experience with regards to the partisans. Over half responded that everything was great, and they were totally satisfied with JPEF materials. Many were telling their friends about it, and most said they would be interested in having teacher workshops in their areas. They could see the impact the curriculum had on their students, who were only familiar with the stories of Jewish victimhood during the Holocaust until they learned about the partisans. From my perspective, this was tangible evidence that our work here at JPEF really does make a difference. Through open-minded, engaging educators, students and young people are learning about this rarely-taught subject on the Holocaust, as well as understanding the importance of fighting back, not giving in, and resisting oppression. Across the globe, people’s lives are being touched every day when they learn about this group of people who dared to stand up to the Nazis. Knowing that, for a few months this summer, I could help touch people’s lives in some small way makes this a truly special experience. New Trailer For JPEF's Upcoming Documentary, "The Reunion"
Last November, The Jewish Partisan Educational Foundation honored 55 Jewish partisans and their families in New York City at a series of special events. Two film crews were on location to document the occasion. The footage will be used in JPEF's newest documentary film, "The Reunion". "The Reunion" features candid conversations about the responsibilities of being one of the last Holocaust survivors, and celebrates moments of joy as former resistance fighters see each other for the first time in over 65 years. "The Reunion" commemorates the stories of forging lifelong bonds, and reveals a unique legacy that connects people across decades and generations. In 2013, the film will be used in classrooms and synagogues as part of JPEF's educational programs. 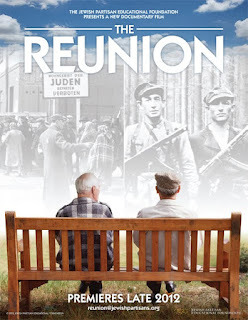 To take part in one of the premieres, or for more information on obtaining a copy of the film, please email reunion@jewishpartisans.org. "Teaching a partisan unit is not teaching an 'instead of' history of the Holocaust ... it is learning about a parallel story. An incredible story of strength, courage, and - above all - humanity." 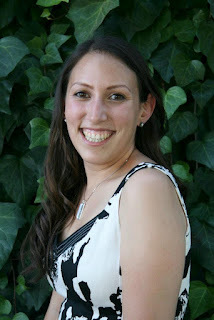 Jaclyn Guzman Zarrella, who recently received the 2012 Hellen Diller Award for excellence in Jewish Education, is a Bay Area educator whose students have been winners in JPEF’s Youth Writing Contest for two years in a row - in 2011 and 2012. Jaclyn shares insights about teaching the Holocaust through the Jewish partisans and Jewish resistance. “Close your eyes, everyone. I want you to close your eyes and focus on the darkness. Drop away all your thoughts and focus on the quiet in the room and the blankness in front of your closed eyes. I am going to say some words and I want you to remember what you see when you hear these words. Again, I am going to repeat some words and you need to take a mental picture of the visual that pops up into your head.” The students are silent and from the low yet warm tone in my voice they know that this is a serious exercise and they do not try to deviate from the task. I start the words. “Holocaust (pause), Holocaust (pause), Shoah (pause), 6 million (pause), Holocaust.” Even with an extended pause at the end of the words the students do not open their eyes yet. “I want you to open your eyes. On your worksheets you have a space to write a description of what you saw or to draw a picture. Feel free to take advantage of either medium and show me what you saw.” The students maintain their silence as they diligently get to work. There are no side conversations, no giggles, and no telepathic stares across the room to friends. After a few minutes some are eager to discuss, others sit back and prepare to listen instead. For some students, this topic is extremely delicate. I teach in a Jewish high school and this is not an unfamiliar story for many students: it is the history of their family. “Alright, let’s see what you saw," I start, “but first, let’s see how similar the image may have been. Raise your hand if what you saw was in black and white or grayish in color.” Almost all hands went up. “And how many of you saw children in your mind?” Again, a large showing of hands from the students. “And lastly, raise your hand if in your mental picture the people you saw were wearing striped clothing with a yellow star?” Every single hand went up. At this point students were able to individually share what they saw in their mind. There were similarities in several aspects and differences throughout. But one similarity rang loud and clear: it was a concentration camp story. We discussed where they had previously learned about the Holocaust: museums, classes, parents, movies, and they agreed that they mostly/only knew the perspective from the camps and ghettos. 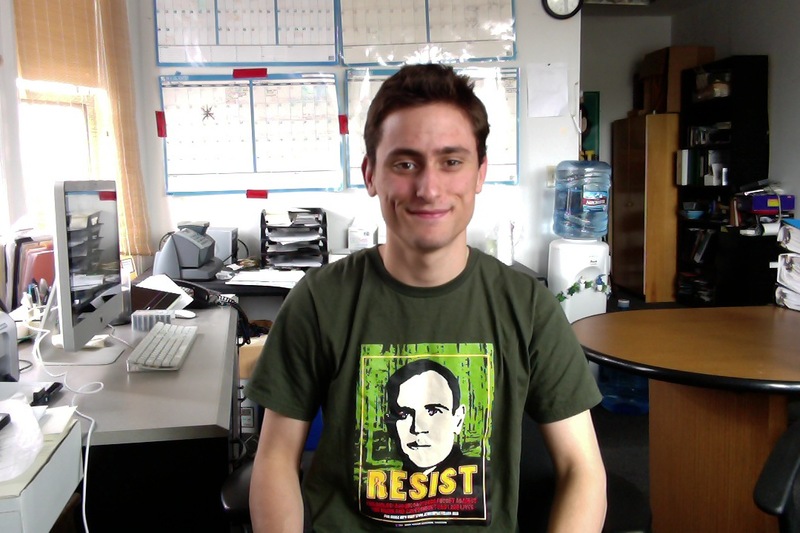 In my senior year of college, I took a course on resistance in the Holocaust. This was a graduate level course and I was only able to get in due to low enrollment from graduate students, and by arguing my way in with the professor. It was a difficult class and it inspired in me a personal passion for learning about the resistance movement during the war. How could I not know about this? I was a Jewish Studies minor and I only discovered this history in my senior year?! I knew I was going to be a teacher and it was very important to me to integrate this important movement into any Holocaust unit in the future. The partisan story felt overlooked for a history so intense with emotion, especially for the teenage mind. After the mental picture exercise I give a full introduction into the partisan movement. As a Jewish school, the students are most definitely aware of the horrors of the Holocaust. Many of them have visited the US Holocaust Museum in DC and even Yad Vashem in Israel. They have gone to Jewish day schools that had specific units for the Holocaust. Teaching a partisan unit is not teaching an “instead of” history of the Holocaust, I tell them, it is learning about a parallel story. An incredible story of strength, courage, and - above all - humanity. At this point, the students are rapt with attention. They themselves did not know that there was something they actually didn’t know about the Holocaust. They are curious. As a history teacher it is important to seize the moments when your students are curious, because that’s when there is serious potential for self-directed learning. I schedule this unit to coincide with Yom HaShoah and the end of the JPEF Writing Contest (the essay is my assessment for the unit), which is generally toward the tail end of the year. By this time in our writing curriculum they have advanced in their persuasive writing and it is time to introduce formalized research writing. Fully seizing the opportunity of their curiosity, the students are required to ask questions about the partisans and research the answers. To help fuel these questions, we start out with some basics on the partisans. It is at this point that JPEF’s website is invaluable. We start with the Introduction to the Partisans film. While the students watch the film they record various questions they have and lines that stick out to them. Their homework is to answer their questions using the JPEF website, as well as several other websites including www.yadvashem.org, www.jewishvirtuallibrary.org, and www.ushmm.org. While the students research the facts and figures outside the classroom, my unit lessons involve something much deeper: emotion. Teens can be desensitized to the level of violence, pain, and sorrow that was felt during this time period. They can find it difficult to empathize with the stories that they read on the website. It can feel so far removed. To try to bridge this gap, we look at what it means to be dehumanized. How the scars of tragedy and war are not only physical, but also emotional. And we look at how, in the darkest of times, people can band together in unity and maintain hope. In order to explore these highly emotional topics I utilize a safe simulation of emotional scarring, song analysis of partisan lyrics and music, and of course, the movie Defiance. The students take all of the informal and formal education regarding the experience of the partisans and all of it evolves to a personal essay reflecting on what they learned. Each year I use the JPEF writing contest to dictate the focus of this unit. I was so pleased this year that the focus was on women. It brought out a whole new set of challenges in the story and the girls in my classes were particularly interested in the new role models they had in front of them. Then, one of the largest surprises this year happened as I was walking down the hall. One of our Hebrew teachers, Mrs. Raz, noticed the JPEF shirt I was wearing on the day I started my unit. She commented that she liked the shirt and I told her about the unit I was beginning in my class. She smiled and said “It is very good that you are teaching them about the partisans. My mother was a partisan.” I was shocked! I have known her for 5 years and she never told me this! So I asked Mrs. Raz to come to class and tell us about her mother’s experience. Mrs. Raz shared the story that she pieced together from memories of her mother’s tales and a book that her eldest brother wrote about his experiences in the partisans when he was 5 years old. The students were enthralled with her story as the history they were learning was so deeply connected to one of their favorite teachers. I do not see this same level of interest in students during the French Revolution unit, the Renaissance, or the Asian Empires. This unit is special. This contest is special. And they know it is special. I can see it in their eyes when I say one particular sentence when explaining them the rules of the writing contest: “Your essay will be reviewed by a panel that includes partisans.” There it is. The connection that they crave in learning. The students understand that they are the last generation to interact with and hear stories from individuals who experienced the war, who felt the emotions, who, as survivors, are the ultimate revenge. This unit is successful because the students feel it. They don’t just memorize it for a test and forget about it next week. When they close their eyes they can see the history through the eyes and heart of another. That’s what it takes to have history mean something. History is not meant to be a timeline; an endless list of names, dates, and events. History has to have a soul. Jaclyn Guzman Zarrella has been an instructor at Kehillah Jewish High School since 2008 where she integrates Jewish history and values into her history classes. She was pivotal in the creation of Kehillah’s History of Zionism and Israel class. Jaclyn holds a BA in American History with a minor in Jewish Studies from the University of California, Santa Cruz. She also holds a Master of Arts in Education with single-subject credentials in Social Studies and English, also obtained at UC Santa Cruz. 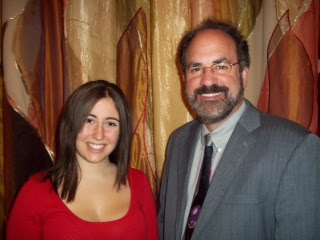 Jaclyn credits her amazing professors, especially Bruce Thompson, with fostering her interest in Jewish History. Mrs. Zarrella was the 2012 recipient of the Helen Diller Award for Excellence in Jewish Education in the Day School category. Jaclyn currently lives in Fremont, CA with her husband and adorable cat. "The story of the women partisans was a different one compared to others I've been taught before. Somehow, the lessons in school failed to convey the bleak humanity reflected in the video that served as an inspiration for the contest. It has taught me that one is really alone in the world, and that it's up to them to save themselves and the people they love. It's this dichotomy of love and independence that helped me to better understand life." "Entering JPEF's Youth Writing Contest allows students to connect with greater depth and understanding to the reality of the Holocaust. It shows them that there were Jews that fought back against the Nazis and other aggressors. Too often we focus only upon the Jews as victims and become mired in the question ‘why didn't they fight back?’ - a complex question that requires a great deal of consideration. 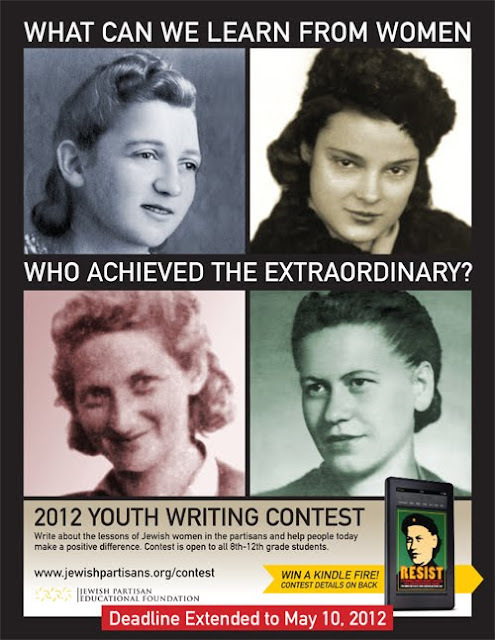 Learning about the Jewish partisans provides teens with a different insight and the Youth Writing Contest allows them to celebrate these remarkable Jewish heroes." Thanks again to Micaela, Rabbi Akselrad, and Congregation Ner Tamid for participating, and we look forward to reading their students’ essays next year! 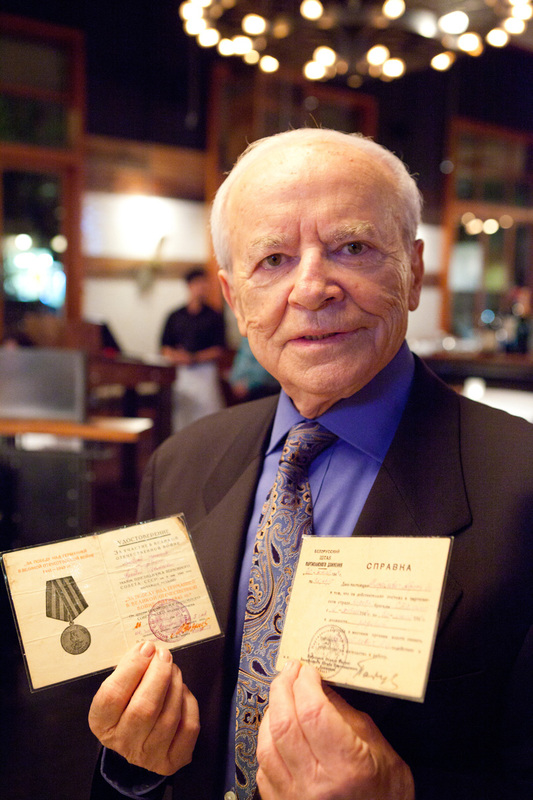 Simon Trakinski fought the Germans during the Vilna Ghetto uprising, escaping afterwards to fight in the all-Jewish Markov partisan brigade. Simon and his brother Bill also worked as spies and saboteurs, gathering information about troop and supply movements, mining roads, and blowing up bridges. On this July 4th, Simon’s story reminds us that the fight for liberty can take many forms, including espionage, escape, and simply surviving another day. Simon’s story also points out that resistors, revolutionaries and rebels have to deal with unexpected adversaries — including rival partisan groups who, in theory, should have been their allies. 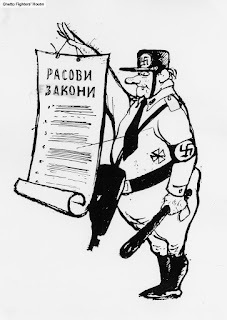 Western countries including the United States set quotas, refusing to help many Jews escape both the continued violence and new forms of anti-Jewish oppression as the Soviet “Iron Curtain” descended on Eastern Europe. This time, Simon resisted by escaping through Poland to Austria, finally being allowed to immigrate to the United States in 1948. 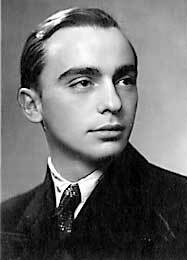 Simon Trakinski passed away on January 2, 2009 surrounded by his loving family at his home in New York. Last week, we posted the reflections and photos of this year's upper division contest winner Leah LeVine and her teacher Jaclyn Guzman (which you can read here). This week, we feature second place winner Josh Gale and his English teacher, Robin Stanton of Solomon Schechter High School in Glen Cove, NY. 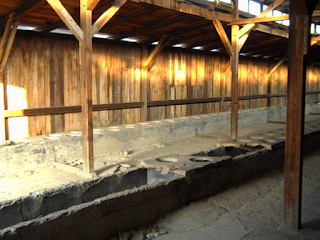 From the outset, Josh had a solid idea of what he wanted to write about: Solomon Schechter’s annual trip to Poland – an opportunity for upper-class students to immerse themselves in the history of the Holocaust by visiting museums and monuments such as Auschwitz and the Warsaw ghetto – provided him with the visceral and emotional experience he would use a year later to craft his winning essay. 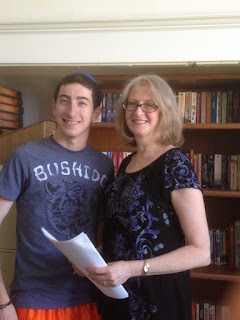 His teacher Robin is no stranger to JPEF’s Youth Writing Contest – her class at Solomon Schechter produced two upper-division winners in 2010, and has participated every year since. Thanks again to Josh, Robin, and Solomon Schechter High School for participating, and we look forward to reading next year’s student essays! This year, hundreds of students from around the world entered our 3rd annual Youth Writing Contest , competing for the honor and a chance to win a Kindle Fire. Starting this week, we will post the reflections (and, if available, photographs) of this year's contest winners. Here, we feature first place Upper Division winner Leah LeVine and her history teacher, Jaclyn Guzman of Kehillah High School in Palo Alto, CA. 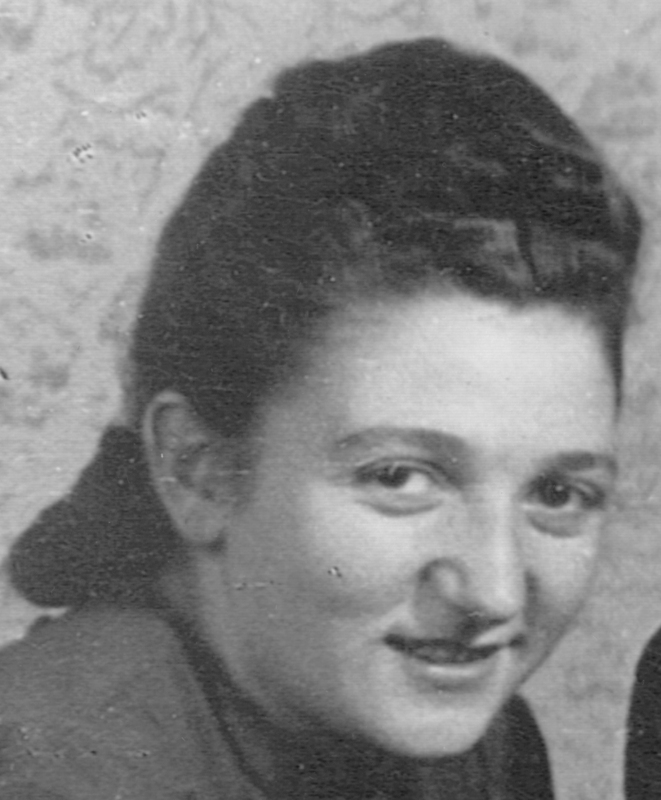 Echoing Sonia Orbuch’s memorable statement about dying as a fighter and not as a Jew in the opening of her winning essay, Leah was inspired by “the ideal that one should be willing to fight for one's identity rather than suffer persecution because of it.” She stated “I will embrace this philosophy as I continue my growth as a Jewish woman.” Leah’s essay touched on subjects of gender identity, power of will, and the importance of taking action rather than embracing passivity and apathy. At Kehillah Jewish High School our philosophy is to approach history as a series of woven perspectives. No singular person has the “correct” view of history and everybody has a unique perspective on every situation. Who we are as individuals impacts how we view the world and how we will remember the major events in our past. I encourage our students to participate in the Youth Writing Contest in order to explore the various perspectives and experiences of the Holocaust. 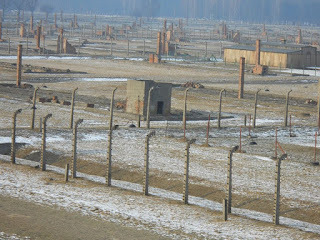 The majority of their education of the Holocaust has been the camp experience and the Jewish Partisan Education Foundation has wonderful resources that enable my students to look at the various acts of bravery Jews exhibited during the most horrific time period. Each year the contest provides a different angle to approach the same history: through the lens of a youth, a woman, etc. This pattern is a perfect fit for our curriculum that is geared toward hearing as many voices as possible in evaluating our collective past. Thanks again to Jaclyn, Leah, and Kehillah High School for participating in the contest, and we look forward to reading their inspiring essays again next year! 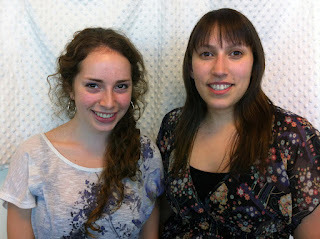 2012 Youth Writing Contest Winners Announced! We are proud to announce the winners of the Third Annual Youth Writing Contest! 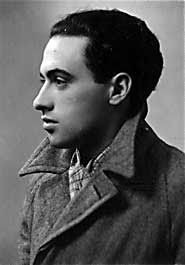 From hundreds of entries from around the country - and around the world - three winners in two different age groups have been chosen by a judge panel that includes Jewish partisan William Stern. 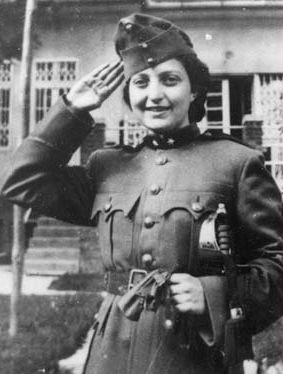 This year's contest focused on Jewish partisan women. Students were asked to write about the lessons that can be learned from their experience to inspire people today to make the world a better place. The winning essays discussed topics ranging from bullying to Burma. The first-place winners, along with their teachers, will receive a Kindle Fire. We want to take the opportunity to thank all of the students who participated in the contest, and all of the administrators, educators and mentors who encouraged their participation. We would also like to thank all the volunteer readers who helped us judge this contest. For further information or questions about the contest, please contact outreach@jewishpartisans.org. This writing contest was made possible by contributions from the Alper, Bedzow, Blaichman, Charatan, Felson, Holm, Kushner, Orbuch, and Wohl families. 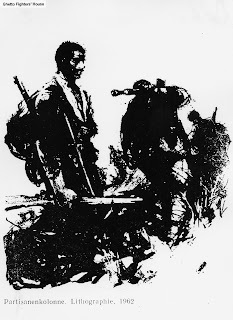 Marko Behar, a talented sketch artist and draftsman (among other mediums), provides us with a unique view into Bulgaria during World War II through his drawings. 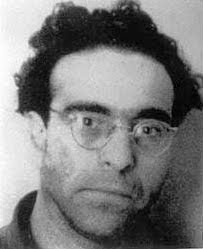 Behar served as the second commissar of a partisan battalion in the framework of Georgi Dimitrov, who was an international symbol of resistance to Nazism at the time. As such, Behar’s sketches, lithographs, and cartoons reflect partisan and underground life. 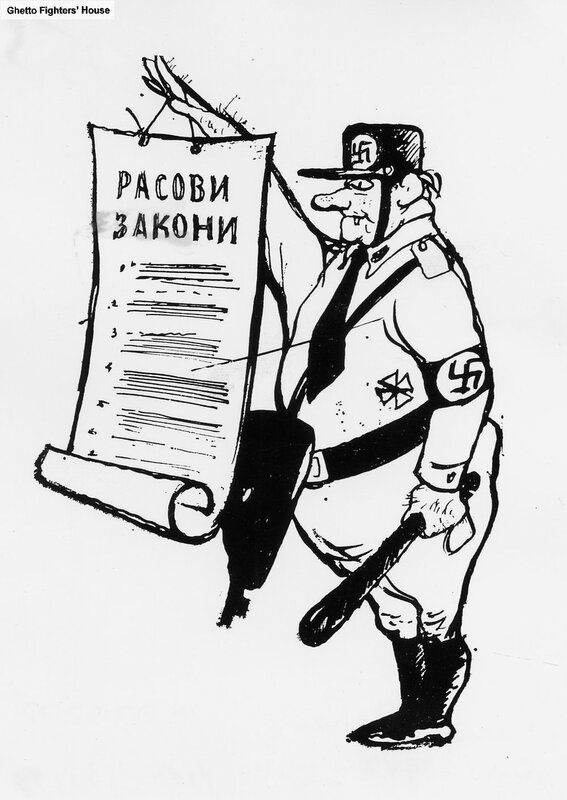 While he drew moving glimpses of Jewish and partisan life at the time, he also featured caricatures of fascism, such as a cartoon aimed at pro-German authorities in Bulgaria. Behar lived out his days in Bulgaria: he was born in 1914 in Skalitsa, a southeastern town, and passed away in Sofia in 1973. His work has been featured in a number of international exhibitions and has been honored with the Ilia Beshkov prize for drawing. 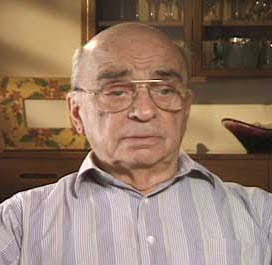 Along with renowned Bulgarian poet, Valeri Petrov, Behar was also one of the founding members and contributors to the popular Bulgarian newspaper Starshel (which translates to “The Hornet”), a weekly publication of humor and satire. 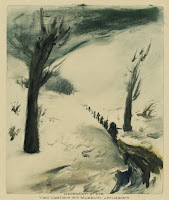 His work continues to be exhibited in retrospectives and collections, including a recent (2009) exhibit at the National Gallery of Foreign Art in Sofia. Clockwise from top left: Race Laws in Bulgaria, 1943, Sofia; A Young Member of the Underground Distributing Leaflets, 1943; Partisans, 1962 (lithograph); Wearing a Jewish Badge, 1943, Sofia. All materials property of Ghetto Fighters' House, except "Partisans In The Winter", courtesy of the Collection of the Yad Vashem Art Museum, Jerusalem. What gave them strength to resist? How did they safeguard their spirit? What kept their spark, their drive? How did they last…stay alive? Bracha is a poet, composer, and educator, as well as an expert in Gematria and Hebrew. 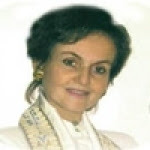 She teaches an ongoing Torah class every Tuesday night in Aventura, highlighting “Women spirituality and significance of Israel”. JPEF Education Manager Jonathan Furst recently returned from a trip to Prague for the ELMLE conference European International School middle-school educators. The trip included a pre-conference tour of the Terezin ghetto, and was followed by a trip to Auschwitz-Birkenau in Poland. 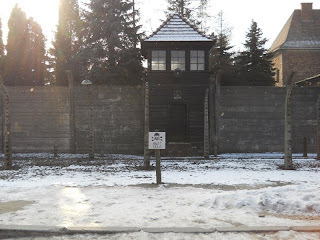 Following the trip to Terezin, I realized that my journey would be incomplete – I would be incomplete – until I went to the heart of the beast: Auschwitz-Birkenau. I arranged to visit a few days after the conference. The first thing to know about Auschwitz-Birkenau is that it is cold. On the day I went, the temperature was -30˚ Celsius on a windless day. Even in thermals and a heavy coat I was chilled. I took my shoes and gloves off to pray for 20 minutes – days later, my hands were still chapped and my feet felt painfully cold. How anyone survived there at all is beyond my understanding. Bikenau is one of the most desolate places on earth. 1.1 million people were murdered* – more than a thousand human deaths occurred every day for years. Truly a death machine. They say that no birds and no animals ever strayed near, and no plants grew there during the Holocaust. And I believe it. 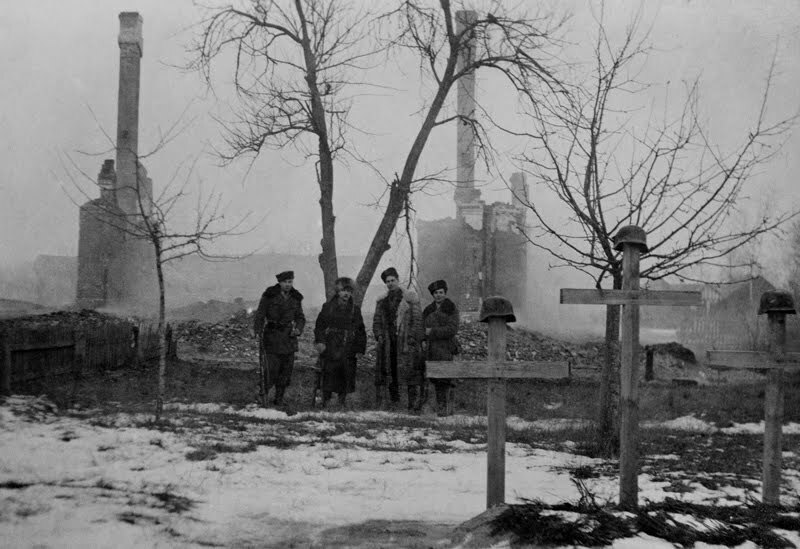 The ground is barren – the ruins of barracks (destroyed by the Nazis’ attempt to erase evidence of their crimes) lie behind stretches of 13-foot high barbed wire. Electrified barbed wire: something about that still stuns and enrages me, the mere fact that someone could conceive of it. My overall reaction, though, wasn’t rage. Or even shock or sadness (although I felt all of those). Unexpectedly, I felt a defiant pride. The Reich that was supposed to last a thousand years didn’t even last twenty. But we still live on, after four thousand years on this earth. “You’re gone,” I thought, “and we are here”. 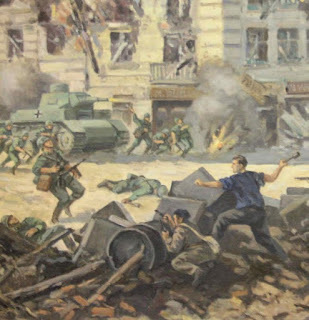 And even here there was resistance – even the armed kind. Very few people have ever heard of the Auschwitz-Birkenau Revolt, when a group of Jews overcame the guards and destroyed one of the crematoria. (Tiny amounts of gunpowder were smuggled into the Birkenau death camp by women who worked in the munitions factory in Auschwitz). The ruins of the crematoria are simultaneously horrifying and inspiring to see in person. And then there were the latrines. Dysentery was rampant, yet inmates who were in a constant state of diarrhea were allowed to go to the bathroom only at two or three fixed times of the day, and for no more than a few minutes. 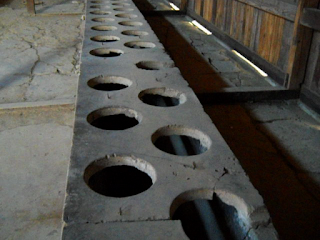 The latrine is a vast barn with hundreds of crude holes placed over a trench, side-by-side and back-to-back, to be used by 32,000 people a day. It’s the little details like this that bring the horror home. The smell must have been asphyxiating. In an attempt to humiliate intellectuals and other ‘troublemakers’, the Germans would assign them the task of cleaning out the filth. But the job of ‘Scheissekommando’ was secretly considered an opportunity instead of a humiliation. Not only could the enslaved workers relieve themselves as often as they needed, but the guards would refuse to go in do to the stench, so this was one of the few places where Jews could talk without being overheard. Here is where the resistance organized and made plans. Information about incidents of resistance from the Auschwitz-Birkenau Memorial and Museum site. *Until the end of the communist occupation of Poland, Birkenau was referred to as the place where 1.1 million Poles and other people, including Jews, were killed. Of those murdered at Auschwitz, approximately 75,000 were Polish. One million were Jewish. All photos and videos taken by Jonathan Furst during his trip. Copyright 2012 JPEF.